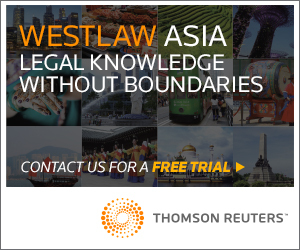 Political Risk Insurance on the Rise along the Belt & Road: A Viable Alternative to Investment Arbitration? 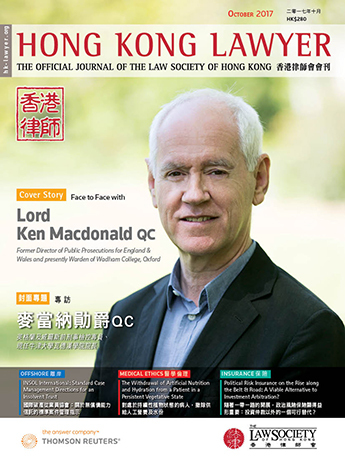 * The article traces a public lecture held in Hong Kong on 12 July 2017, organised jointly by CMS Hasche Sigle Hong Kong and the Hong Kong International Arbitration Centre. The lecture was delivered by Timothy Histed, head of MIGA’s South and South East Asia operations. In 1991, Hochtief AG – a major German contractor – won a concession over one of the largest infrastructure projects in Argentina (see Award, ICSID Case No. ARB/07/31, December 21, 2016). Hochtief was to construct and operate a 608-meter long four-lane cable-stayed bridge linking the cities of Rosario, in Santa Fe province, and Victoria, in Entre Ríos province, through a crossing over the Paraná river. Argentina was to pay regular subsidies towards the project. In 1998, Argentina spiralled into a major economic crisis. The crisis permeated all aspects of the country’s life, and resulted in economic, financial, institutional, political, and social collapse. When the crisis peaked, Hochtief’s project was well advanced – Hochtief’s bridge was hanging with its ends loose over the Paraná river when the Argentinean Government changed its laws, stopped contributing to the project, and eventually terminated the concession. Hochtief sued Argentina at ICSID for expropriation. In December 2014, following several years of legal battles on jurisdiction and merits, a prominent tribunal comprising Chris Thomas QC, Judge Charles Brower, and Professor Vaughan Lowe QC, issued its decision on liability (see Decision on Liability, ICSID Case No. ARB/07/31, December 29, 2014). The Hochtief tribunal’s decision is informative in many respects, but its treatment of Argentina’s political risk insurance objections deserves particular attention. Prior to bidding for its concession, Hochtief took out a political risk insurance policy with the German Government under a German Government programme that provides Federal guarantees for direct investment in foreign countries. Having seen its project expropriated, Hochtief applied for compensation under the Guarantees, receiving over €11 million prior to suing Argentina at ICSID. Argentina objected to the admissibility of Hochtief’s claims before ICSID on the basis that, because the German Government paid the compensation, Germany was subrogated to the rights of Hochtief under the BIT, so Hochtief could no longer pursue its claims. The Tribunal rejected Argentina’s admissibility objection, finding the BIT requires a transfer of rights to claim by provision of law or by a legal act, and that no such transfer happened when Hochtief purchased its political risk insurance. The Hochtief tribunal further found that a political insurance payment is a benefit which an investor arranges on its own behalf, and for which it pays. Political risk insurance does not reduce the losses caused by a host State’s actions in breach of the underlying BIT. In essence, political risk insurance is an arrangement made with a third party in order to provide a hedge against potential losses. The Hochtief tribunal found that there was no principle of international law that would require such an arrangement to reduce the breaching host State’s liability. The Hochtief liability decision is one of the rare investment decisions that address political risk insurance objections. However, political risk insurance is by no means a new concept in the world of investment law. Investment in volatile jurisdictions can involve setbacks that include bribery, corruption, or even the total collapse of local economies, wholesale rejection of contracts, political crises and coups and even claims relating to violations of human rights. Despite the ever-present security concerns in conflict-affected states, investors value business opportunities that promise generous returns on their investments, as long as the anticipated returns are high enough to outweigh the increased risks. 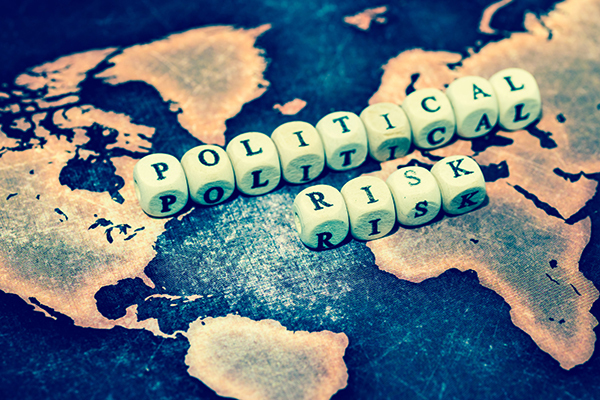 Political risk insurance has developed alongside foreign direct investment as a way to hedge against a variety of such risks. 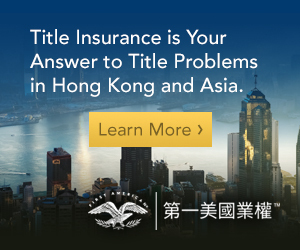 Hong Kong is a relatively new market for insurers offering political risk insurance policies. However, the local market is expected to grow, as Hong Kong solidifies its position as an important regional hub for China’s Belt & Road Initiative, a reliable jurisdiction through which foreign investors can channel funds into other Asian jurisdictions that can at times be volatile. The World Bank’s Multilateral Investment Guarantee Agency (“MIGA”) was one of the first international institutions to offer political risk insurance to investors venturing into conflict-affected or volatile jurisdictions. To benefit from MIGA’s insurance policies, a foreign investor must be a national of a MIGA member-State and must seek insurance for an investment into a developing country. In line with that policy statement, MIGA has developed five types of insurance products. MIGA insures investors against losses relating to currency inconvertibility and transfer restrictions, expropriation, war, terrorism and civil disturbance, breach of contract, and non-honouring of financial obligations. In terms of currency inconvertibility and transfer restrictions, MIGA’s involvement is engaged if the host State imposes transfer restrictions such that the foreign investor is not in a position to convert local currency into hard currencies and transfer it to its country of origin. In those situations, MIGA would pay compensation in the hard currency specified in the contract of guarantee with the investor. In this respect, most investment lawyers would argue that the majority of treaties contain provisions on transfer of investments and returns. The Hong Kong-Australia BIT, for example, provides in its Art. 8 that “each Contracting Party shall in respect of investments guarantee to investors of the other Contracting Party the right to transfer abroad their investments and returns”. Similar transfer provisions are included in virtually every existing BIT. These provisions often require that the investor be able to convert currency of the funds prior to transfer. The question begs what value MIGA’s policies add to investors if the relevant investment treaties already contain the required guarantees. For a foreign investor to benefit from the treaty’s transfer provisions however, the investor needs to engage the treaty’s dispute resolution mechanism, go through years of arbitration and/or litigation, and obtain an award confirming (hopefully) that the host State is in breach of the treaty’s transfer provisions and that it owes compensation to the investor. This would be a brilliant outcome, but not the end of the story. The investor would then have to enforce the award against the host State. MIGA does not require an award to find that the host State has effectively blocked repatriation of funds. MIGA will compensate the investor for the host State’s conduct without the trouble of having the insured investor go through arbitration and enforcement proceedings. MIGA’s expropriation coverage is wide-ranging. It encompasses everything from nationalisation to “creeping” expropriation. Here again, MIGA does not require an award in the investor’s favour to pay compensation. If equity investment is expropriated, MIGA compensates the insured investor based on the net book value of the insured investment. When funds are expropriated, MIGA pays the insured portion of the blocked funds. For loans and loan guaranties, MIGA insures the outstanding principal and any accrued and unpaid interest. MIGA pays compensation upon assignment of the investor’s interest in the expropriated asset to MIGA. For all practical means, from the investor’s perspective, getting compensation for expropriation from MIGA is faster and cheaper than investment arbitration. By resorting to MIGA, the foreign investor safeguards its relationship with the host State by avoiding fierce (and often very public) confrontation before an investment tribunal, amongst other benefits. Under the umbrella of its policy for insuring risks against war, terrorism and civil disturbance, MIGA protects insured investors from destruction of tangible assets or from total business interruption caused by politically motivated acts of war or civil disturbance in a host State. For tangible asset losses, MIGA compensates the investor’s share of the lesser of the replacement cost and the cost of repair of the damaged or lost assets, or the book value of such assets if they are neither being replaced nor repaired. For total business interruption, MIGA’s compensation is based, in the case of equity investments, on the net book value of the insured investment or, in the case of loans, the insured portion of the principal and interest payment in default. Again, the added value of MIGA’s war, terrorism and civil disturbance insurance is that the investor is not required to produce a treaty award in its favour to seek compensation. MIGA’s insurance against non-honouring of financial obligations protects against losses resulting from a failure of a sovereign, sub-sovereign, or state-owned enterprise to make a payment when due under an unconditional financial payment obligation or guarantee related to an investment. This coverage is applicable in situations when a financial payment obligation is unconditional and not subject to defences. 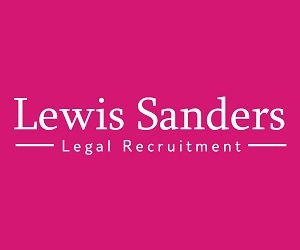 Compensation would be based on the insured outstanding principal and any accrued and unpaid interest. Here again, MIGA does not require an arbitral award to compensate the insured investor for his losses. MIGA’s breach of contract insurance is the only insurance policy that requires the insured investor to engage a contractual dispute resolution mechanism as a pre-condition for compensation. MIGA would expect the investor to invoke the dispute resolution mechanism set out in the underlying contract. If, after a specified period of time, the investor is unable to obtain an award due to the government’s interference with the dispute resolution mechanism (denial of recourse), or has obtained an award but the investor has not received payment under the award (non-payment of an award), MIGA would pay compensation. In addition to MIGA insurance, which does have its own threshold and membership issues, it is open to foreign investors to purchase political risk insurance from other government-backed and private insurers. SinoSure (a Chinese State-owned export and credit insurance corporation) has become particularly important in the context of Beijing’s Belt & Road Initiative. SinoSure insures a large part of Chinese investment abroad. Its investment insurance policy is designed to underwrite investors’ economic losses caused by political risks in host States. By virtue of its role, SinoSure also takes the majority of losses when the insured investment goes sour. A number of private insurers in the region have followed MIGA and SinoSure, and have developed their own sophisticated insurance policies. Zurich Insurance Group, AIG, AXA, Prudential, Allianz, and many other large multinational insurance companies offer more and more elaborate and comprehensive political risk insurance schemes. Against this backdrop, it is particularly interesting to see whether AIIB, Asia’s major financing institution designed to encourage investment in Asia, will offer political risk insurance policies similar to the World Bank’s MIGA or akin to private insurers. Political risk insurance is a sophisticated tool to hedge risks of undue government interference with investments in fragile economies and developing states. It is costly, but it guarantees compensation in cases of expropriation, adverse regulation, political instability, or physical destruction of investments. A number of private insurers are adjusting their political risk insurance products to offer coverage of denial of justice and breach of investors’ legitimate expectations, as well. Most political risk insurance products do not require the insured investor to obtain a treaty award to receive compensation. Public insurers, such as MIGA, have the additional leverage of resolving disputes with local governments before the disputing parties reach a point of no return and before a full treaty dispute crystallizes. Investment treaty arbitration remains the most efficient tool to recover lost investments where political risk insurance is not available and where all other options fail. If Hochtief v Argentina is followed, treaty tribunals are unlikely to regard political risk insurance as an arrangement that affects the level of compensation or view political risk insurance as an obstacle to admissibility of an investor’s claims. Political risk insurance and investment arbitration should be seen as complementary concepts that exist to increase investors’ confidence in exporting capital to developing markets.